Special Interest Holidays is dedicated to Eco Tourism. 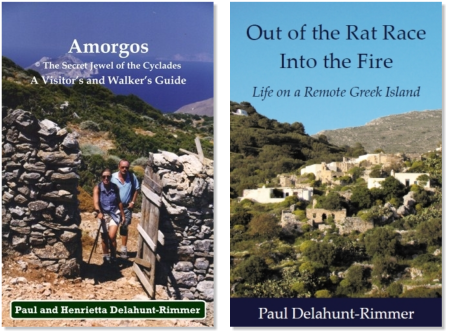 We have been working on Amorgos and with other Greek islands to promote this concept since 1994. Amorgos is about as unspoilt as any Greek island can be from undesirable development. This does not mean we can become complacent. Together with AITO, Elliniki Atairia, The Eco Club, Responsible Travel and the EU (see links) we are working to maintain the beauty and the traditional ethos of the island. Of course there should be progress. However this has to be planned with Eco Tourism in mind. There are places in the world where large tourist developments can take place without destroying the natural beauty of a destination and damaging the environment. These should not take place in unspoilt areas where visitors come to enjoy the nature and the tranquillity of a remote Greek island. Many destinations have already suffered from the bulldozer and millions of tons of concrete. Here on Amorgos we are not complacent. The beautiful area of Agios Pavlos, an ancient farming and fishing community (pictured right), is currently threatened by developers with Euro signs in their eyes instead of the views of the mountains, the wildlife and the quiet rural scenes. Plans on drawing boards, such as the artist’s impression below, have to be opposed. Short of a nuclear explosion there can be nothing more damaging to remote locations such as the Greek islands than sudden unplanned tourism development. The consequences to the physical environment may well destroy the very resource that attracted the tourist’s attention in the first place. The rivers and coastlines become contaminated. The sea breeze carrying the aroma of herbs and flowers becomes polluted with exhaust emissions and aircraft fumes. The sounds of donkeys braying and the waves breaking on the beach are drowned out by beach discos and concrete mixers. Bright street lights block out the deep blue star sparkling Mediterranean night sky. There is congestion at the ports and in the villages that look more like London a week before Christmas rather than a remote Greek island. Road and hotel building causes soil erosion, damages vegetation and wildlife and destroys natural and ancient manmade features. Income from tourism should not be ploughed back into further building it should be used to conserve and renovate existing resources. Here on Amorgos ruined old stables have been renovated and turned into holiday accommodation, ancient sites are being preserved and footpaths are maintained for visiting walkers and the local people alike. Conservation and the preservation of natural areas have emerged as important spill over benefits of tourism. The protection of the very resources that visitors come to enjoy enhances and perpetuates tourism by maintaining its very foundation. Eco tourism is primarily the responsibility of the host community and country. However responsible travel is primarily down to the visitor and their tour operator. When planning a trip many aspects should be considered. Is it possible to fly just one sector instead of two to reduce carbon emissions? Read up on local cultures and how they are affected by tourism. Find out if there are local conservation projects at your destination that you could visit. If your holiday includes guides ensure that they are locally based. You will learn more and it is income for the community. Eco tourism and responsible travel is down to all stakeholders. Planners should consider the consequences of their proposals. Local authorities should think about the cost to the community when considering planning applications. When visitors go to an area for the nature and walking, more development is only going to reduce the community income not increase it. Travellers should research their proposed destination at the planning stage and consider the impact of their visit. This doesn’t have to be negative there are many positive aspects to tourism. Eco tourism and responsible travel is the duty, of anyone who travels or is involved in the business. The jungles and rain forests are being destroyed and small Greek islands are being overdeveloped to the point of destruction. We can build bio-domes and reconstruct jungles and forests, although that is not the solution, but we can’t reconstruct a Greek island or more importantly it’s ethos and family community. Think of the future. Special Interest Holidays was formed in 1999, they are based on the island of Amorgos Greece and in the Okavango Delta in Botswana. Even since its inception the whole business ethos has incorporated eco-tourism. There is often confusion in terms ‘bandied’ around by those companies who do not understand or actually care about the real meaning of eco-tourism. The company’s belief and practice is that eco-tourism is responsible travel that promotes sustainable tourism conserving the environment and improving the well-being of the local people. It is protecting the very resources that visitors come to enjoy which perpetuates tourism by maintaining its very foundation. Many locations particularly in the Greek islands have very short seasons. Marketing strategies and eco-tourism programmes have been developed to promote the environment and encourage increased tourism in the low seasons. This increases the export income for the island and negates the temptation to develop further to cater for more high season visitors. The demand for activity holidays is increasing as people turn their backs on the standard beach based holiday and search for something to stimulate their minds as well as relax their bodies. Maintaining the island as an attractive destination for walkers and nature lovers is at the root of the company’s strategy. The company practices what it preaches to the extreme. One company office is still at the home of the directors (PR & HF Delahunt-Rimmer). This house is in the mountains with no road, mains water, electricity or telephone. Supplies are brought in by donkey, rain water is collected for domestic use and solar power is used for the office. Everything is recycled including the donkey droppings! The three aspects of tourist capacity that should be considered are the Physical, the Environmental and the Ecological capacities. The physical capacity should be limited to control the other two. If increased it should be done without detriment to the environment. In order to reduce paper usage the company encourages clients to book on line. They do not produce brochures which cuts down on the inevitable end of season wastage but also the initial production usage. Another aspect that many companies seem to forget is overseas post. This is transported by aircraft. Often the payload of an aircraft to a tourism destination is 50% freight. The majority of this is post and newspapers. It is a great income for the airlines but increases fuel burn and contributes to the carbon footprint. The only company that Special Interest Holidays use to promote them in the UK still finds it necessary to produce a brochure. This company, Sunvil, is however also dedicated to responsible travel and holds five star status in the AITO responsible travel scheme. For self guided walking it is very difficult to give instructions without printed information. To this end Special Interest Holidays have produced a book. This combines a guide book to the island with walk details. It also covers all aspects of the island culture and traditions encouraging clients to respect the local community and support the local economy. There is also a section on eco-tourism. To avoid excessive use of paper there is no advertising except a mention of the company and Sunvil holidays. The purchase of this book avoids the need for another island guide book and also walk instruction papers and maps, everything is contained. It is also a product that clients will keep or pass on to promote the company principles and encourage responsible travel. Responsible Travel doctrines encourage at least ‘one’ office based initiative for eco-tourism. Special Interest Holidays consider this to be a mere token gesture. As mentioned earlier one of their offices is entirely solar powered. This is by one very small panel lying flat on the roof in a very inefficient position but does not impact on the environment or be able to be seen by visitors. The directors commute between offices on foot, mainly as there is no road! All paper is recycled. All ink cartridges are recycled. They always avoid any unnecessary printing. They do not have company brochures. The hotel used for clients is a thirty minute walk to the beach they have refused to put on a service with the company Land Rover, clients walk. The hotel used is an agri-tourism hotel. They are totally dedicated to eco-tourism and the preservation of the environment. All the cuisine in their restaurant is organic mainly from their own farm. They have awards for eco-tourism in Greece. All waste is re-cycled. Special Interest Holidays run cookery and cuisine courses there and the first lesson for clients is in which receptacle to put various waste for, the pigs, goats, donkeys, compost, paper, metal and the inevitable plastic. They also collect water from rainfall but due to the summer demands of visitors have drilled their own bore hole for water for washing and cooking to reduce the demands on drinking water which has to come in by ship. All clients are briefed on water conservation. This includes only short showers, not letting taps run and only requesting towel and other laundry when really required. The guide book encourages the preservation of the environment. It encourages walkers to stick to paths, close gates and pick up any rubbish they see en route. It does however say that ‘discarded refrigerators are exempt’! This guide book and the actions of the company over the years has prompted the local authorities to preserve and maintain more paths on the island. The company directors have been working with the local community for 13 years on eco-tourism. Paul Delahunt-Rimmer has written many papers and articles on the subject. He has been asked for his opinion by the EU and national government on the subject. He is a consultant to the local council and mayor. All guides are locally based. They all have to be able to speak Greek and English. They all have to have at least a relevant first degree in their discipline or in the case of artists, chefs and photographers be professionals in their field. The company wishes to put back income into the community and not to employ people from abroad who do not understand the island, culture and mind set. Local guides can impart far more information and really get clients in to the ‘feel’ of the island than visiting guides which so many companies seem to employ these days. The guides introduce clients to the local people, their businesses and sometimes even their homes. This is a critical concept of responsible travel. There is a two way aspect which comes into play. Clients learn about the country they are visiting and their hosts learn with fascination and sometimes horror of ‘life abroad’! Responsible travel can help to bond nations. Special Interest Holidays recognise this theory and encourages the concept. Clients guided or self guided are encouraged (or taken) to visit areas of archaeological and historic value. They are directed to areas which Special Interest Holidays were instrumentally in having preserved (e.g. 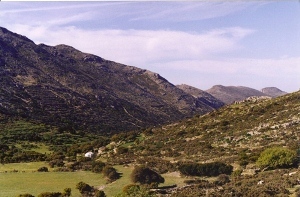 Krikelos Nature Reserve). These are all described in detail in their guide book. Special Interest Holidays is not complacent. In their main theatre of operation maintaining the environment is not in the fore mind of many stakeholders. The company through education has been ‘trying’ to put over the importance of eco-tourism and the resultant future economy of the island. They were strong supporters of the last mayor and his council who were dedicated to this concept for eight years having been instrumental in his successful initial election and re-election. Henri Delahunt-Rimmer was asked by the mayor to stand for election as a councillor at the elections last year as an environmentalist and historian. 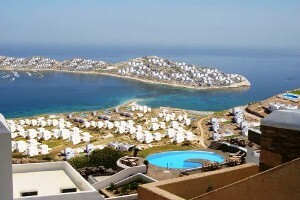 The company is currently committed politically and financially to challenge the current local government of Amorgos in the interests of eco-tourism and the future of the island. They are winning. 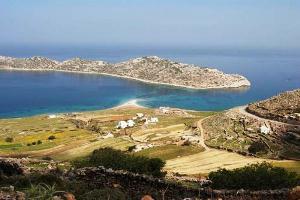 More walking routes are being surveyed and research continues with leading academics in various fields to promote Amorgos as an eco-tourism destination. We are working with two British academics into the possibility of collecting water from low cloud to irrigate and replant part of a forest that burnt down in 1835. This is a very long term project and to be honest they are having great difficulty in generating interest on the island. The academics are a little over enthusiastic whereas the local people can’t appreciate the environmental benefit. A more likely project that will come to fruition is one the company proposed eight years ago and has finally been accepted in principal. This is the rebuilding and maintenance of farm terracing. This is the only possible way to farm on the steep mountain slopes. Some of these date back to 5 BC and only in recent years have become neglected. There are five benefits from this project. It will be more aesthetically appealing to see maintained terracing instead of fallen down walls. It will decrease erosion. It will increase food production for the island which will be organic. It will be income for the farmers. Lastly and very importantly it will increase the number of migratory birds. These have gone into considerable decline over the last forty years since their food stocks have diminished. This would be a short term project with almost instant results. Special Interest holidays are very encouraged by the support and interest they are getting with this scheme. Special Interest Holidays is also committed to pursuing their interests in Botswana. This third world country is a leading example to many so called developed countries in their preservation of the environment. It is politically and economically stable and dedicated to low impact high income tourism. They only work with companies and suppliers who support the preservation of the environment. Also all of the suppliers are involved in projects for the benefit of the communities. The directors spend a month a year there on research projects. Special Interest Holidays will continue to promote the protection of the very resources that visitors go to enjoy enhancing and thus perpetuating tourism by maintaining its very foundation.